Made with wild huckleberries combined with a traditional tomato base, our 12 oz BBQ sauce is a savory sauce with the rich, sweetness of huckleberries! Great on fish, poultry, or as a side condiment for virtually any kind of meat or seafood! 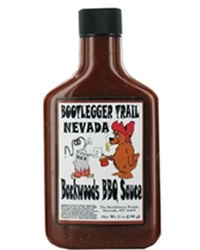 This BBQ Sauce is one of our customers favorite. It is the perfect sweet and spicy mix that will guarantee the success of any BBQs. Packaged in a unique 8 oz plastic flask bottle. Made with Brown Ale Beer, this wild huckleberry BBQ sauce is the perfect ingredient for a great BBQ experience. Our brown ale bbq sauces are packaged in a 12 oz beer bottle. 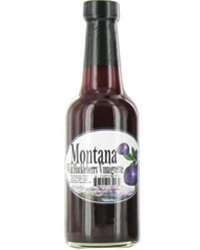 You can add a little bit of wild to your salad with this great tasting Wild Huckleberry Vinaigrette. It is being served in an elegant 10 oz jar. The combination of gourmet mustard and wild huckleberries really adds a unique flavor to any sandwich or as a marinade. Many other flavors of 5 oz mustard available including beer, jalapeno, roasted garlic and red pepper, and sweet and spicy.